When was the first TV image broadcast in Queensland? If you thought 1956 or 1959, you’d be wrong. The first TV broadcast was made in 1934 by Thomas Elliott, from the Windmill Tower on Wickham Terrace using the machine featured in this article. I discovered this fascinating piece of technology carefully stored and cared for by Museum curators, in the storage area of the Queensland Museum. Over a period of months, Thomas built a television transmitter reportedly using materials including cotton reels, aluminium discs and Meccano set parts. A receiving set owned by advertising man Alan Campbell (later co-founder of Channel 9 Queensland and patron of the South-East Queensland Amateur Television Group) included equally diverse materials, such as pieces of aluminium, copper and brass. It had a screen 11cm wide. The first transmission was made on 10 April 1934 from the observatory to Campbell’s home at Wilston Heights. The first image seen was of actress Janet Gaynor. 4CM was given a television broadcasting license the same year, 1934 and continued to broadcast until all licenses were withdrawn following the outbreak of war in 1939. The group did not resume after the war, but Elliott declared that Australia could have introduced television in the 1930s but for the War. This object provides a fascinating insight into how science and technology have changed over the last 100 years. For more ideas and resources to teach science and technology in the classroom try investigating QM Loans. 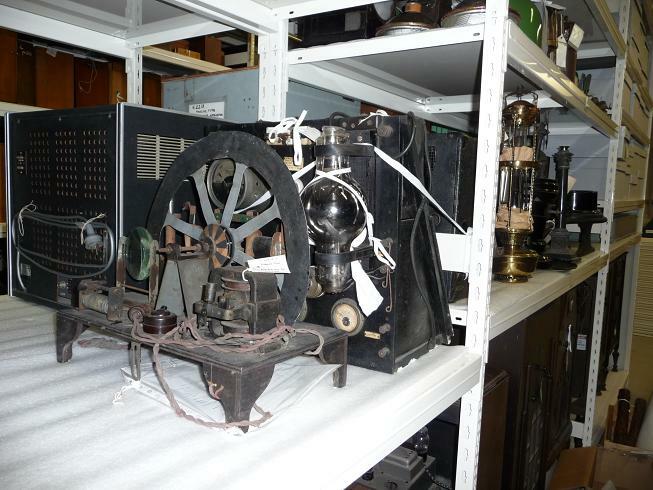 Loans kits available to borrow include Telecommunications, Early Queensland Living and Australian Inventions.